1. You don’t take immediate action. Spills sink into carpets quickly. If you don’t act fast, that red wine will be absorbed by the carpet fibers. And if you wait long enough, the spill may dry and set. Stains can seep deep down into the carpet’s padding or, if they’re acidic, they could eat away at the carpet fibers. So whatever the spill may be, it’s always best to act fast. 2. You use the wrong cleaning product. There are many different cleaning products out there nowadays and they each have a specific purpose. Before you use a product, be sure to read the label carefully or, if the label is vague, do a quick Internet search. Many household cleaners and laundry detergents are too harsh for carpets. Their strong chemicals (which may even include bleach) are not always suitable for cleaning carpet fibers. 3. You don’t make a test patch before using harsh products. If you care about your carpet at all, you should always make a test patch before using a potentially harsh cleaning product for the first time. Before you treat a stain in the center of the room, apply it to an area hidden beneath a rug or couch. With just a little time and patience, you can avoid making a permanent, embarrassing mistake. 4. You use a deodorizing powder to clean. Deodorizing powders aren’t able to clean away dirt or get rid of stains, so they should only be used after the stain has been removed. 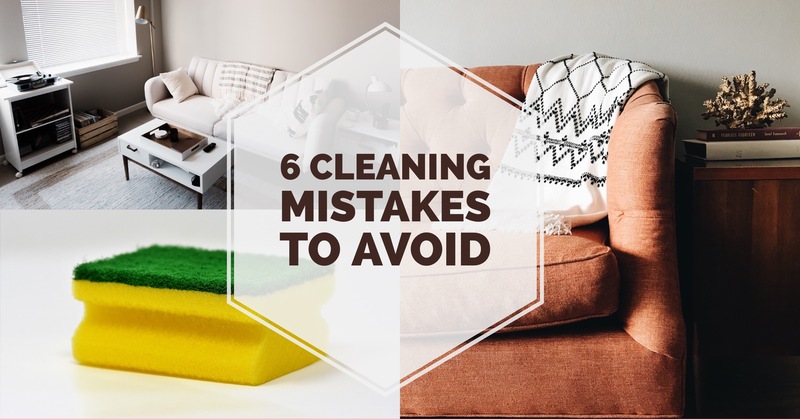 They can be used to eliminate lasting odors, but they shouldn’t be used too often because many vacuums aren’t strong enough to pull all the powder out of the carpet fibers. 5. You never hire professional carpet cleaners. Professional carpet cleaning is more affordable than you might think. If you have frequent stains (maybe you have messy children or pets) or you need to prepare your home for important guests (maybe you’re having an open house and want to impress homebuyers), a professional carpet cleaning will remove all those little bits of dirt, stain remnants, pet fur, and long-lasting odors. You won’t believe the difference a professional carpet cleaner can make. 6. You clean your carpet every week. While it’s important to take care of your carpet, try not to overdo it. Weekly cleanings will only detract from the beauty of your carpet as the fibers become damaged and faded. This isn’t the most common of our carpet cleaning mistakes, but it’s still one best avoided.